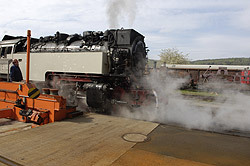 The Traditions Meiningen steam locomotive works , located in the beautiful country triangle Bavaria, Hesse and Thuringia, is the only work of the DB AG, Which itself quietly takes our beloved steam steeds. 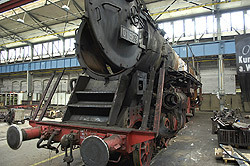 And if sometimes the Reich Ausbesserungswerk Meiningen is mentioned, then one imagines a bygone era. It had the Working this title nor do they hold up to the turn. Because the GDR period was called the local train, comparatively to Deutsche Bahn, all those years since 1945 German Reichsbahn. 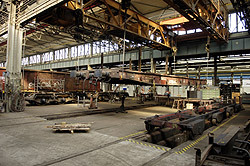 But by railway lovers lovingly simply called Dampflokwerk, today it is still the only existing plant in Germany, which steam locomotives mended, and due to this special position also German steam locomotive repair shop could be called. More information can be find below! 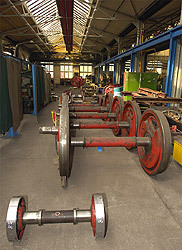 It all began in 1914 under the Royal Prussian Railway Administration (KPEV) as main workshop. 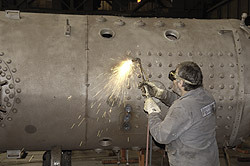 Even then, the Meininger deal with the maintenance of steam locomotives and carriages as their main business, and make today really nothing more. 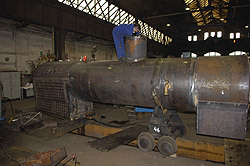 The skills of the steam boiler making and Fitters have a long tradition in these workshops. 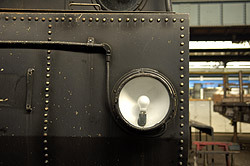 The steam engine plant actually writes permanently history. The work being carried out there, act like a kind of anachronism, which indeed would be as much as out of date. But that is not true at. Our beloved Steel Steeds can not but deal with it. If you watch the workers, you feel at a time remembers where still all work happened with solid-honored manual labor, and the word automation even in science fiction novels has been described. So work as 100Jahren? Who would be surprised, but have some of the protagonists itself already its 100years under his belt. 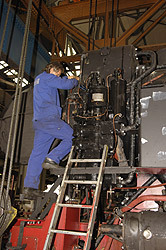 No, active for over 90 years in locomotive maintenance and new construction, but their area of ? 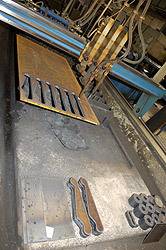 ?responsibility has constantly expanded, a growing customer base, it presents a variety of tasks. 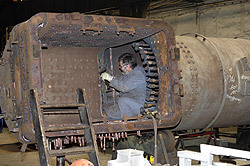 This often requires new solutions, a fresh approach, whether it be to the processing of historical steam Diesel or electric locomotives or wagons is. 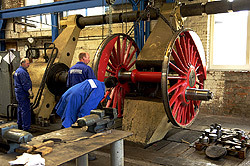 The Meininger can rely on a wealth of experience that they have accumulated over a long time, and are therefore to devote today in the extraordinary position, steam engines of every type and every track. Everything is in the hands of the workers, and everyone knows his craft. 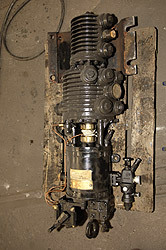 They were called vehicle mechanic - today Industriemechaniker. 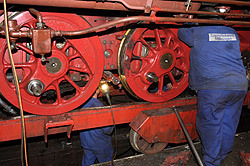 The maintenance of steam locomotives places high demands on the employees, the manufacturing processes and technical equipment. 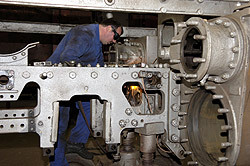 The Meininger offer their customers a self-contained service for the development, Design and manufacture of assemblies and components for steam locomotives and historic coaches, which are industrially no longer procurable. 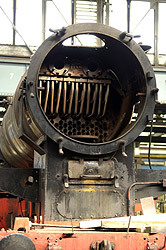 Where the intention is a steam locomotive in a heating oil burner convert, convert the historical components in modern standards, or components for new Train models needed the work waiting with precision CNC or TNC machines for the highest standard on. 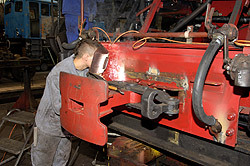 The old tenders are also misused ever since another important branch of production of the work, the vehicle repair of 49 snow clearance vehicles for the German Railway AG. 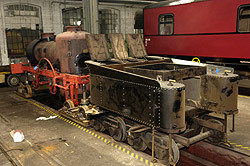 The vehicles are built from disused tenders, converted to snow plows, which then for the hard Winter use in snowy areas, such as the Alps, find their use. 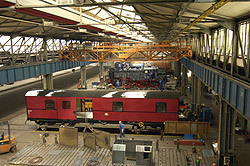 Entry for vehicle maintenance of Deutsche Bahn AG also feature 7 crane trains. 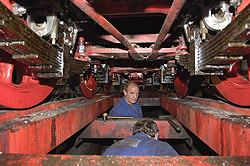 In recent years, the processing of historical coaches of regulating and Vineyard won increasing importance. 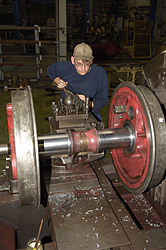 In particular, for the narrow gauge lines of the Saxon narrow gauge railways, the Rügenscher Kleinbahn, the Harz narrow gauge railways and the railway Molli in Bad Doberan are the historical coaches in Connection with their steam locomotives repaired. 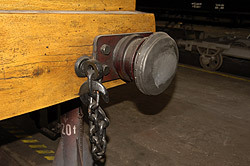 It must take into account that each of these Narrow gauge railways have a different gauge. 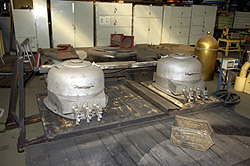 Resin travels example 1000mm, the Rügener take 750mm, and Molli on 900mm gauge. 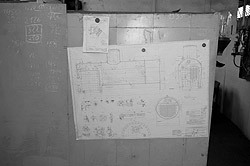 An absolute novelty is the complete construction of a steam locomotive, well, you might as well a sensation designate. Hard to believe, but true. There will be a brand new Molli. The Molli, already a good old friends, she does happen to go with us on the Baltic Sea between Kuehlungsborn and Bad Doberan along in regularity. There they are indeed already 3 times, but they are of course no longer the youngest. And they also have to go the next 100 years, there will now be a whole new Molli. From the Mecklenburg state government with 1,7Mio. EURO been promoted, it is from 2009 on their drive 900mm track. A beautiful feeling that one can not do without our iron horses and want. 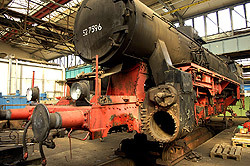 All exist in Germany steam locomotives and other historic railcars will eventually here accrues to be made roadworthy again. 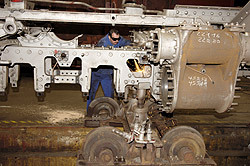 The Federal Railway Authority are time limits by which to drive vehicles of all kinds, no matter what Rolling stock on a West German rail moves, be examined by a specific maintenance plan, is a so-called revision undergo. 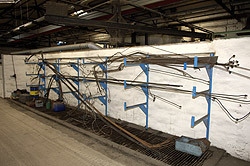 Material stress tests are performed, parts such as the boiler may exchanged, and as in the motor vehicle MOT then there's a new plaque. 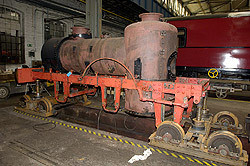 When boiler as all 3years, can max. 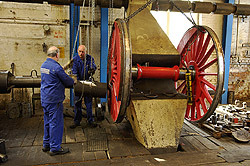 2X will be automatically extended for 1 year, the engine there are 8years. 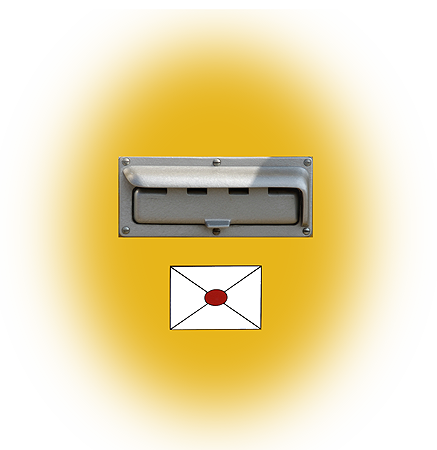 If that has not happened, has therefore not get a signature, then the vehicles on the network of federal routes may not be used. A small staff statistics: Before and after the war had been employed up to 2,000 people, could be repaired so that per day 2-3Loks. 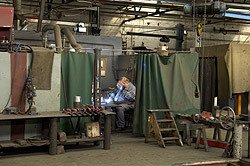 1989 there were 1,500 employees. 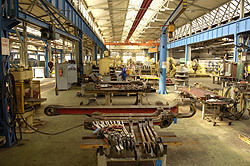 We have 80 workers in manufacturing, 25 in the indirect section and 12Azubis, ie 117 employees. 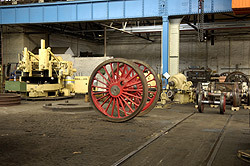 The groundbreaking ceremony took place on this1 October 1910. After three and a half years of construction is at March 2, 1914opens the new factory and passed as operation. 800 employees in 1914to 1600 employees by the year 1918. 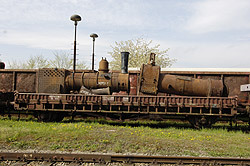 Passenger train, freight train and Zahnradlokomotiven, from 1925 also Einheitsloks. 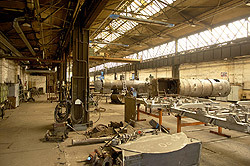 rail repairable factory (DRC), and from1924as Reichsbahn repair shop (RAW). und dem RAW Meiningen zur Instandhaltung zugewiesen. 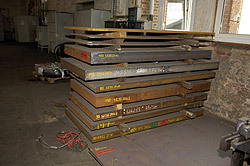 Das RAW Meiningen ist von nun an für die nächsten Jahrzehnte für die Aufarbeitung der schweren Einheitslokomotivbaureihen zuständig. 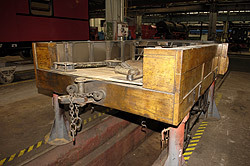 Bis zum Jahr 1927 werden auch Waggons in Meiningen aufgearbeitet, das Werk hat jetzt über 2000 Beschäftigte. Während des zweiten Weltkrieg werden die Baureihen 01, 01.10, 03, 39, 43, 44, 52 (ab 1942), 62, 95 und 99 instandgesetzt. Außerdem wurden Motoren für die Kriegsindustrie gefertigt, dennoch blieb das RAW von Bombardierungen und Reparationsleistungen verschont. Es konnte bereits am 23.April 1945 seine Arbeit wieder aufnehmen. 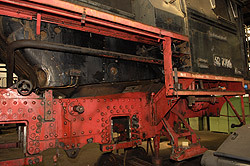 Schon am 1.September 1945 wurde das Werk zum volkseigenen Betrieb erklärt. Nach dem 2. 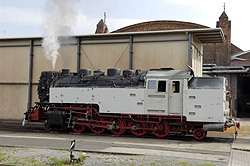 Weltkrieg gewinnt das RAW Meiningen für die Deutsche Reichsbahn zunehmend an Bedeutung. 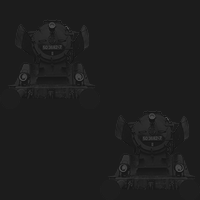 Am 01.Mai 1947 wurde bereits die 1000. nach dem Krieg instand gesetzte Dampflok dem Bereich Eisenbahntransport übergeben. Am 04.Mai 1951 gegen 15 Uhr kam es im RAW zu einem schweren Explosionsunglück. 11 Menschen wurden getötet, 30 verletzt, darunter viele schwer. 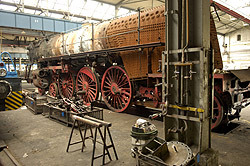 Der Kessel einer unter Dampf stehenden Lokomotive wurde aus dem Rahmen herausgerissen, zerstörte das gesamte Dach des Anheizschuppens und wurde unter Druck bis zur Ernststraße geschleudert, wo er auf der Straße aufprallte und im Garten des Krankenhauses schließlich liegen blieb. 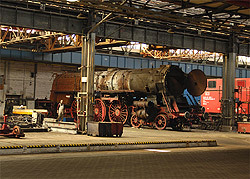 In the 50`er years it is the BR 01, 39, 44, 58 and the tender locomotives BR 60, 61, 62, 78 and 95th Also Kolonnenloks the Soviet Union and former Privatbahnloks were repaired here. 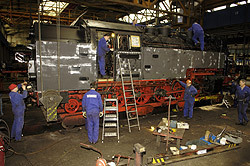 In addition, were between 1958 and 1965 tags, called reconstructions, the BR 39, 3:10 and 01 runs, is discussed in more detail on the. 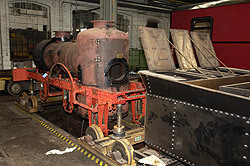 Then began the conversion to oil firing: In addition to individual pieces such as 18 201, 18 314, 19 015 and 19 022, were 28 locomotives the BR 01, 16 times the 3.10, 94 pieces of the BR 44 and BR 95 a total of 24 locomotives retrofitted. 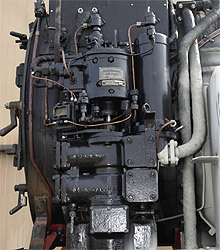 Between 1958and1962 were rebuilt 58 locomotives of the series 39, they received new welded boilers with a combustion chamber, new cabs, Witte-sheets, unit Tender (2'2'T34) and the new series called "22". 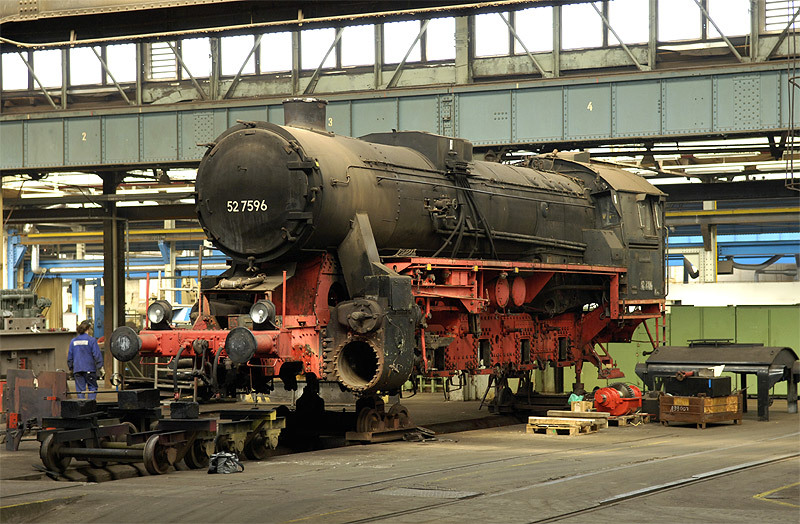 Coronation of the versatile technical experience was 1960 the conversion of the BR 61 to today's 18,201, the pride of the former GDR. 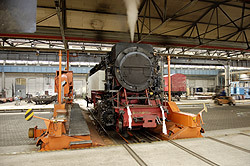 She is still with 175 km/h the fastest functional steam locomotive in the world. 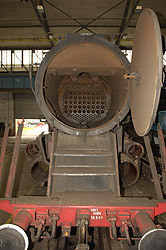 This was followed by the beginning of the 70`er years the implementation of 51 properties used boilers of BR 22nd This had the RAW Meiningen in the BR 39 installed, now they have been implemented on the BR 03. 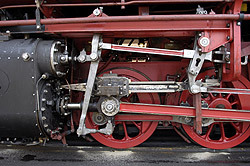 During this time the entertainment components included the BR 03, 23:10, 41, 50.35, 52, 52.80, 65 and 86.10. 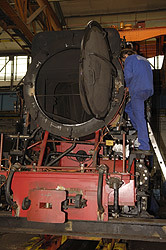 By the end of the 70s is marked by the steam locomotive servicing the production profile of the plant. 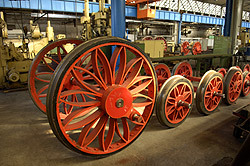 With the exit of the steam engine as a mainline locomotive also gradually changed the profile of the work. 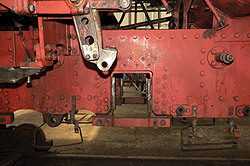 As of 1981 and freight cars at the factory service were set. 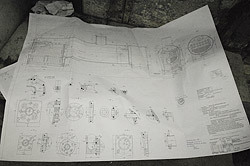 From 1984 for the first time in a realm railway workshop a production line for the construction of locomotives built. 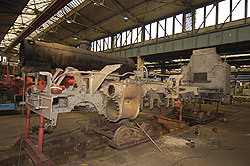 Up 1988 are manufactured and handed over to the sidings of the industry total of 202 steam locomotives memory type FLC (fireless C). 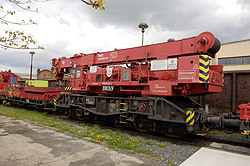 was by investing in the areas of steel production and mechanical processing the new construction further profiled and from 1987 were also the trailer-bogies manufactured for electric railcars in annual series. 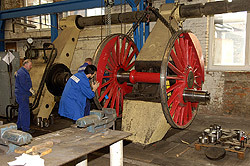 Main studies on DR-steam locomotives passing the material to March 1988, also the construction of the steam accumulator locomotives was completed. 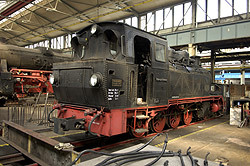 Furthermore, it has bogies the S- and U-Bahn Berlin (East) manufactured, sometimes traditional and heating locomotives were examined. 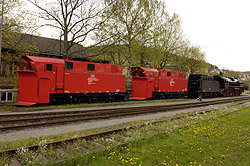 The plant in Meiningen arrives after the turn during the merger of DR and DB for Deutsche Bahn AG. 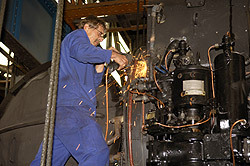 Since then sets the steam engine plant control and narrow gauge locomotives for the DB AG, private railways, Heritage railways and railway clubs from home and abroad service. 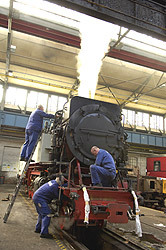 Today the Dampflokwerk counts Meiningen for the last maintenance workshops in Europe, the steam locomotives for investigate or reconstruct heritage railways. 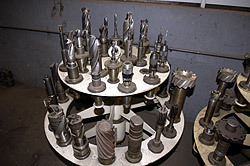 In subsequent years, the production volume increased constantly. 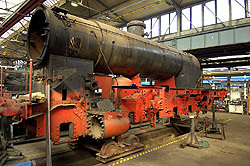 A name the RAW Meiningen has made, because it is the renaissance of the steam engine in the GDR by the Reconstruction locomotive (almost new reconstructed locomotives) played a major role. 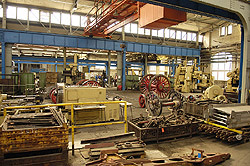 The aim was to improve the efficiency of the machines and the working conditions of Lokmannschaften. 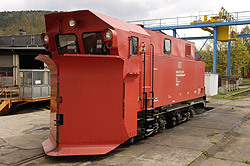 Between 1993and1994 were made of the type HB 1600 for the German Bahn AG 2 high performance web snowblowers. These are self mobile and spaces with a maximum speed of 120 km / h, the ICE routes. Furthermore, were between 1993and1996 1 snow plow HB 1200 2 snow blowers GKW 12 built for Russia and 6 radio-controlled snowplows BA 850 for DBAG. 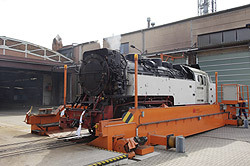 Since 1998 is the steam engine plant control and narrow gauge locomotives for DBAG, Private railways, museum railways and railway associations service at home and abroad, modernized snowplows and snowblowers and builds boilers historic steam locomotives from all over Europe. 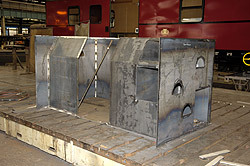 The work-up of historic coaches assumes great importance in today's Production range of a steam plant. 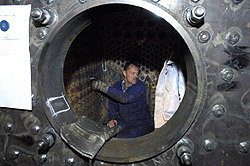 With the repair of Diesellokomotivem Series V60 was since 2003 a new business opened. 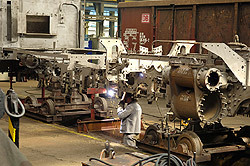 The locomotives will receive a general inspection to §32 EBO and on demand repowering on Caterpillar engine. 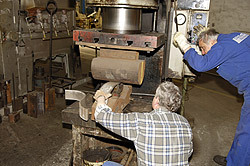 Every first and third Saturday of the month at 10:00 am are guided tours through the plant. 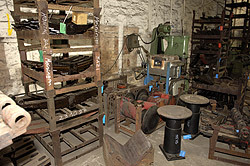 A guided tour takes about 1 1/2 hours. Registration is not necessary. Interested persons are for this purpose quite welcome. 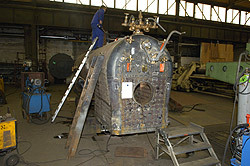 The guides include the Lokhalle to visit with the locomotives and cars, the Anheizhaus and the Boilermakers located in the factory.